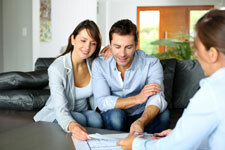 Charlotte Property Management, Charlotte Property Managers, Charlotte, NC Property Management Companies. RuBec Properties offers a full array of rental property management services for your property. Our service philosophy is to work effectively for you so you don’t have to. We have an extensive portfolio of single family homes, multifamily apartments, townhouses and condos in the Charlotte area. Your rental property is advertised on several websites to include Craigslist, Zillow, Vast, Google Base, Hotpads, Trulia and others. A For Rent sign is placed on your property lawn and we utilize signs that are strategically placed throughout the city to generate calls for our available properties. Our leasing contact center responds quickly to rental inquires. Tenant screening minimally includes obtaining information related to an applicant's employment, rental history, criminal background and credit checks. We evaluate applications in detail to weed out less than desirable applicants. We will conduct up to 2 inspections per rental year to assess the condition of the property while a tenant is a resident. Repairs and maintenance handling are also performed by our staff of maintenance technicians. A repair escrow of $250.00 is required. Our property management fees range between 8 and 10%. Our leasing fee is 50% of the rent amount for each new tenant. Our lease fee for properties in which a tenant already resides is $150.00. Tenant procurement only service fee is equal to one month’s rent. As you know, fees are necessary, however, we are interested in discussing your property management needs. We are confident that our service can overcome fee amounts. We understand that communication is critical in our relationship. We have several touch points at which time, we must update you - during marketing, when the property is rented, if eviction is necessary, when a maintenance request is received, you will receive an email which gives pertinent information. There should be no surprises when we manage your property. The owner portal is another communication venue for monthly access to information related to your property. It will include accounting, maintenance and other reports. Our newsletter is for you. Our goal is to provide information you want to know which is why we always ask what interest you; what topic can we provide insight? Each month an accounting of the month’s activities is provided by a statement. The statement is accessed in your owner portal. You will receive an email with a link for access or you may access it from our website. Invoices and several reports to assist in the analysis of you rental property are available. A 1099 will be mailed to you at year end for tax purposes. Direct deposit is our primary payment solution. Contact us for more detailed information 704-817-9533. Evaluating the condition of your property is important. This enables us to better market and to determine if there are any unknown repair needs. An initial evaluation will also includes suggestions regarding needed repairs or décor to assist in making the property appealing and desirable. 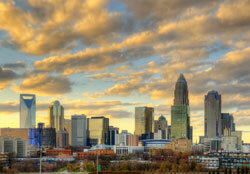 Our marketing process involves the Charlotte community as a whole. We have aligned ourselves with several agencies in the city who seek housing. We constantly develop new relationships with other agents. We also seek to expose RuBec to the community so we are known. We will cross market your property to those who inquire about other properties. All available avenues to market RuBec and your property are undertaken. Syndication of marketing information related to your property is disseminated to websites throughout the country. Security deposits are retained in our NC Security Deposit Trust Account in accordance with the NC Real Estate Commission guidelines. Security deposits are the tenants money but cannot be used to pay rent. Reconciliations are conducted at the end of the lease term which account for damage to the property. Accounting is required within 30 days of move out. Leases are prepared and executed electronically. There are several addendums included which address and/or reiterate the lease regarding how items such as maintenance, mildew, lawn, drugs, rent payments etc are handled. If you've just moved to Charlotte, or you're considering it, you are in good company because most Charlotteans aren't from here either. They come from all over the country and world. Some for work, weather or educational pursuits – although you will always hear talk of the Southern hospitality, barbeque and sweet tea. Charlotte is the 16th largest U.S. city with a population of 792,862.Of the major metro centers in the Southeast, Charlotte has 7.4 million people living within a 100-mile radius, compared to Atlanta’s 8.3 million. This radius population well exceeds Miami’s 6 million and Memphis’ 2.6 million. As a result, Charlotte has emerged as a financial, distribution and transportation center for the entire urban region. The city boast professional sports teams, renowned universities and institutions and Fortune 500 companies. Temperatures are relatively mild with highs in the 90s during the summer and 50's in the winter. Snow is infrequent and most rainfall occurs in the Spring. There is not much not to like about Charlotte. Let us help you find your new home!